With the news Yahoo! was breached in 2014 and 500 million user accounts were potentially compromised, this breach became the biggest in history to date. However, the damage extends far beyond Yahoo! properties where the digital identities of users could be compromised on other sites, business documents leaked and other harm could come for users who don’t take immediate steps. 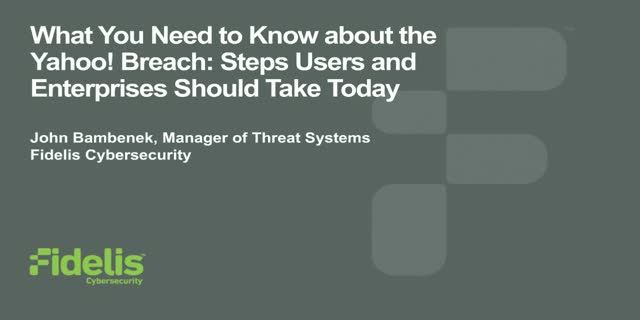 This talk will cover not only the breach, but the aftermath in what users and enterprises should do to protect themselves over breaches affecting other companies.